New ELAN Sensors integrate fully with the ELAN Wi-Fi Thermostats for effortless control of the indoor environment. CARLSBAD, CALIFORNIA — Further expanding the ELAN® ecosystem with smart attachments that enable seamless configuration for custom installers, Nortek Security & Control (NSC) announced that it is now shipping three new ELAN remote temperature and humidity sensors for its line of thermostats. The all-new EL-TSTAT-SEN-8083, EL-TSTAT-SEN-8051, and EL-TSTAT-SEN-8052 sensors assist in evenly distributing temperature and humidity control throughout the home. EL-TSTAT-SEN-8083: The Indoor Flush Mount Remote Temperature and Humidity Sensor gathers temperature and humidity data, which can be averaged from multiple locations with attached to the EL-TSTAT-8820 thermostat. EL-TSTAT-SEN-8051: The Indoor Flush Mount Remote Temperature Sensor helps manage hot and cold spots in the home, delivering comfort in the rooms that matter. It can be used to monitor remote temperature and average or override the temperature taken at the EL-TSTAT-8820. 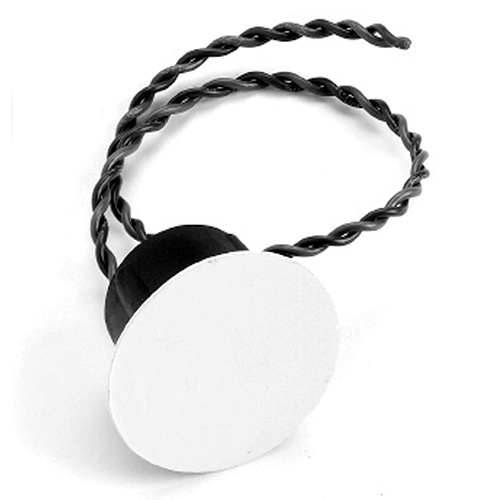 EL-TSTAT-SEN-8052: The Outdoor Remote Temperature Sensor is designed for outdoor or duct installation. Ideal for both residential or light commercial applications, the bracket can be removed to allow probe to be installed in radiant flow applications. 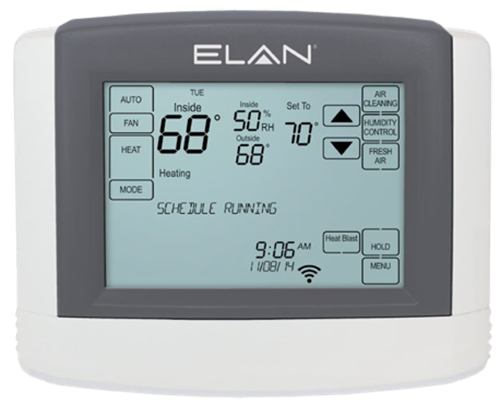 The sensors integrate with the ELAN Wi-Fi Touchscreen Thermostat (EL-TSTAT-8820). The ELAN Wi-Fi Touchscreen Thermostat (EL-TSTAT-8820) also features ELAN Discovery for one-click setup for easy installation. Enabling remote access and control over Wi-Fi, the unit monitors and controls indoor air quality control, including automatic or manual humidity control, event-based air cleaning, and ventilation. The EL-TSTAT-8820’s large touch screen, which includes an adjustable backlight, displays room temperature, room humidity, temperature settings, and outdoor temperature. A built-in message center provides feedback and instructions, with air filter, humidifier, dehumidifier, fresh air, and HVAC service reminders. The unit also allows for programmable fan control with a fan circulation mode. A progressive recovery feature ensures proper temperature at the start of a program event, while built-in compressor protection effectively prevents against equipment damage. For homeowners, temperature control is easy, with the option to instantly override any scheduled event.